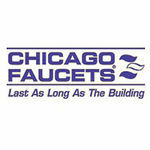 The Chicago 50-LES317XKAB Manual and Metering Faucet. 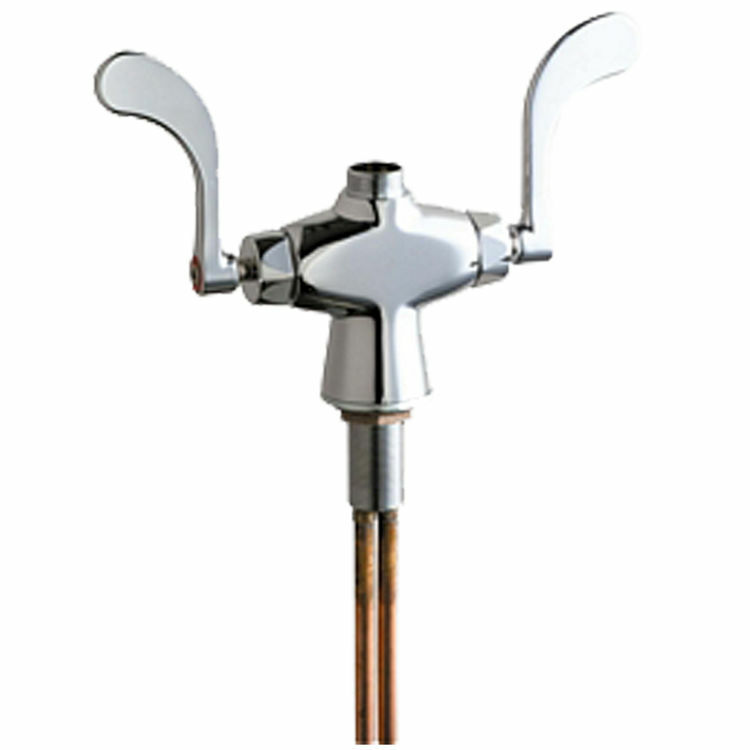 This hot/cold water sink faucet features single-hole installation, a set of 4" wristblade handles, a ceramic 1/4-turn operating cartridge, a 3/8" O.D. copper supply tubes, and it comes in a bright, Chrome finish. The spout and aerator for this faucet are sold separately.